Even Picasso must’ve come up empty sometimes. And I’m no Picasso. I’m starting to run out of ideas. For postcards, that is. Somewhere along the line Myra-Jean persuaded me that three was not enough to assuage her grief at my newfound part-time employment. I should be leaving her four. Four postcards, three days a week. I’ve been working for about a month and a half now. You do the math. No? I’ll do it for you. Seventy-two. That’s how many postcards I’ve made so far. Seventy-two original drawings. I’m running out of subject matter! I’ve drawn cats, dogs, owls, camels, elephants, sheep, snails, and flowers. I’ve gone exotic, drawing sloths, okapis, and octupi. I’ve crayoned pastoral scenes, gardens, planets, and the sun. I’ve made up creatures. I’ve drawn MJ herself. And still, three nights a week, I have to come up with more. The results are getting increasingly random. 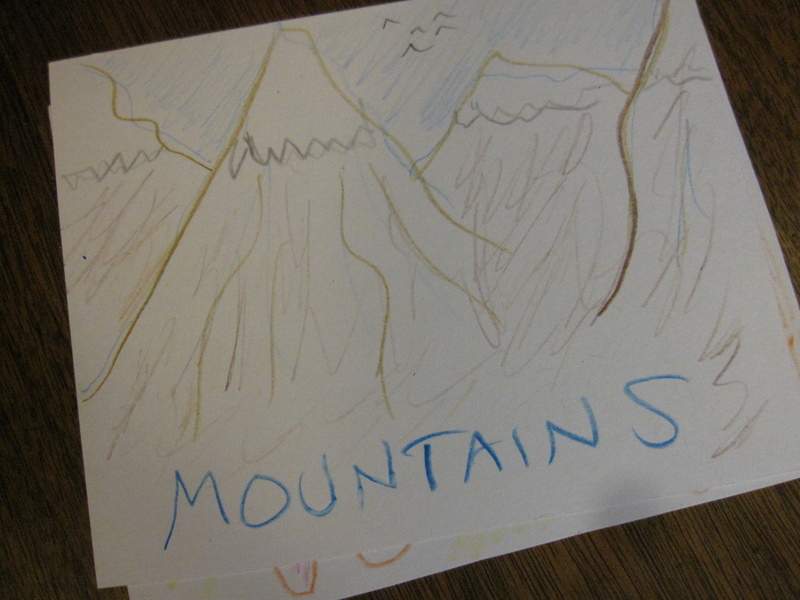 Then moved on to a landscape. Which is not my strong suit. The result looked perfunctory. Next there was my old standby: a dog. But I put a flower in front of him, to change it up a bit. 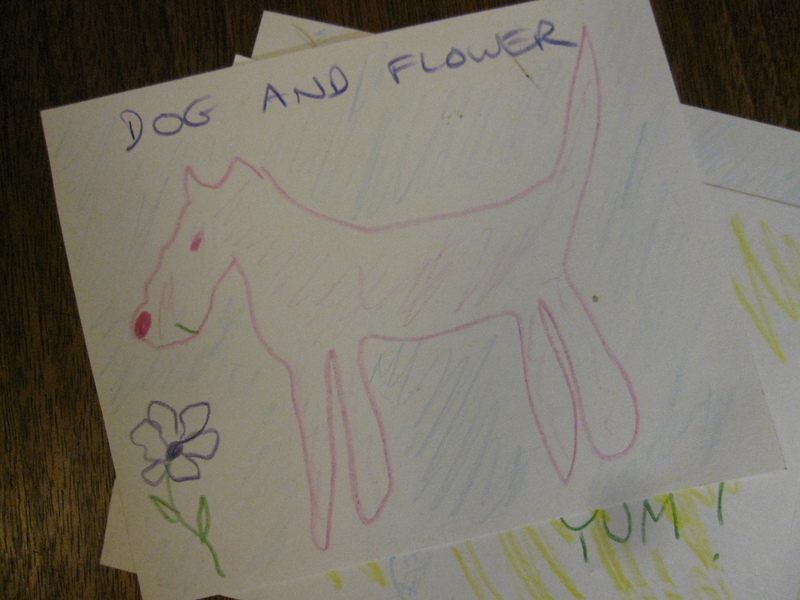 Because, you know, dogs and flowers are a logical pairing. Kind of like white wine and fish. Finally, I sketched a dinosaur. Not a very good one, I might add. It looked more like a seal with legs. Plus, I forgot the tail until the last minute, then squeezed it in on the right. 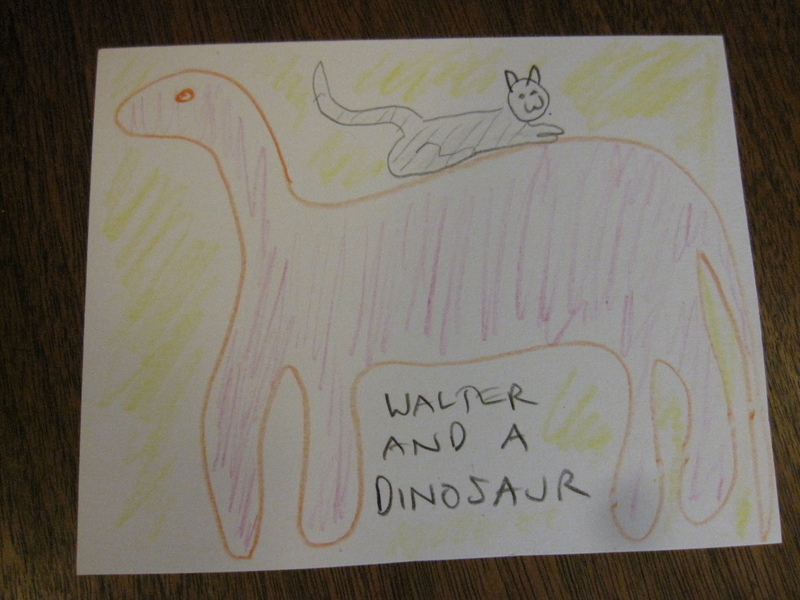 To deflect from this obvious error I put a cat on its back. Walter. Why not? At least up there he’ll be safe from Mina. I tried to make the accompanying text expand on of the image. It didn’t really work, but that’s another conversation. The point is, I don’t know how I’m going to keep this up. And I have to. 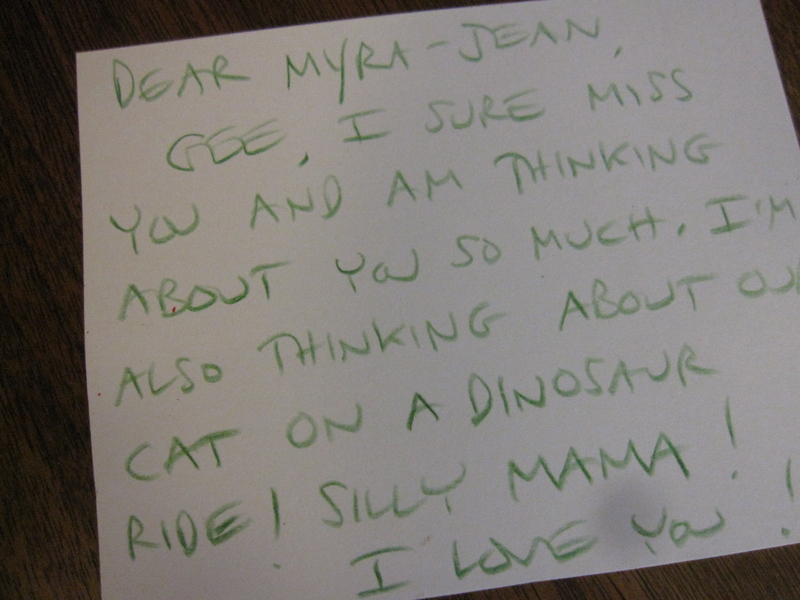 The postcards are the only thing keeping MJ from having a nervous breakdown on the days I work. But I’m getting a nervous breakdown making them! I need ideas. I’m not an artist. I was a philosophy major, for God’s sake. Perhaps each card should feature a fragment of Socratic dialogue. Or maybe I should move on to collage. 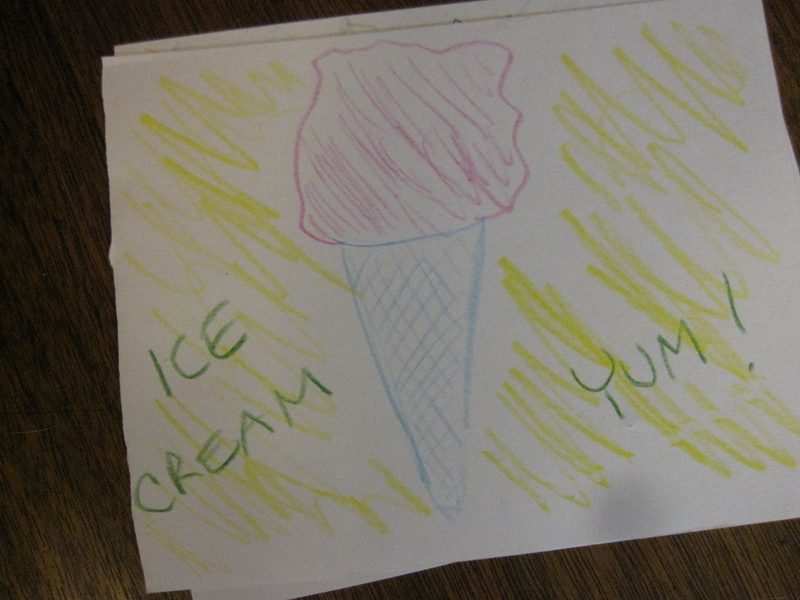 This entry was posted in cat, childcare, dog, household and tagged drawing a dinosaur, making postcards for your child, stay at home moms going back to work, ways to comfort your child when you go back to work, working moms on October 3, 2013 by thumbstumbler.